The Great Barrier Reef is often considered one of the natural wonders of the world, and rightfully so. While stunning from above, many who visit the Great Barrier Reef only see it from water level, on a snorkeling or glass-bottom boat tour. I myself have snorkeled at the Great Barrier Reef three different times, in the Whitsundays and further north near Cairns, but each time found myself a bit disappointed after how much I had built up the experience in my mind. The problem with the Great Barrier Reef is twofold. 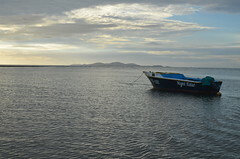 For one, you must go on a boat tour to get out to the reef, which is pretty expensive if you’re traveling on a budget and means most people will only make it out one time during their trip. If the weather or water conditions (waves and/or visibility) aren’t great that day, then for most people that’s just too bad. Hand in hand with this is the second problem: the conditions often aren’t very good. Every time I have been snorkeling on the Great Barrier Reef, in winter and spring, the water has been extremely choppy and the visibility has been less than great. It wasn’t until after I had been snorkeling up in Southeast Asia that I realized how unimpressive the few coral and fish I could see really were. In general, the coral was average, the fish were few and the colors were fairly dull (and in many of the deeper areas, especially if you’re on a combined snorkel/dive tour, they are so far away you can’t see them well and don’t really feel immersed in the experience). This may not be true on a multi-day dive trip or a more expensive luxury trip to an exclusive part of the reef, but it was true for all three of my experiences. I am not knocking the Great Barrier Reef, I think it is an experience worth having and I can understand many people might feel they’ve missed out if they go Australia and don’t visit it (do the helicopter ride in that case!! ), but people should know that there is another, better option. Enter Ningaloo Reef, the answer to all these problems. 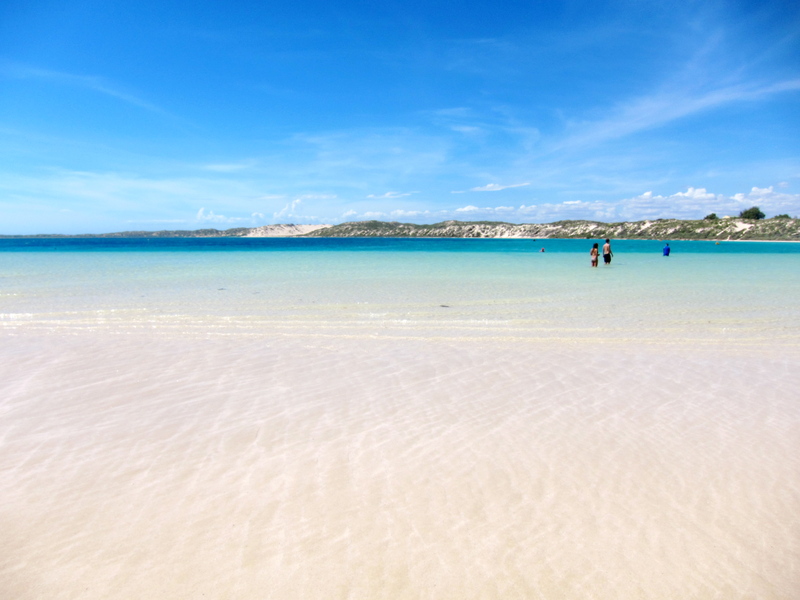 Located about halfway up the coast of Western Australia are Ningaloo’s two major visiting points, Exmouth and Coral Bay. In these two spots, the reef is so close to shore that you simply hop into the water and swim to it. 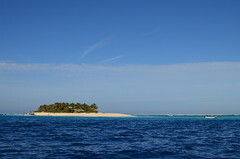 Almost immediately, just meters from shore, you’ll see impressive marine life and coral. Our first dip into the drift snorkel at Turquoise Bay (just hop in and let the current take you along!) we came across a shark. After being in the water for less than 10 minutes! I nearly died from fright, but it was also pretty amazing. However, I tend to prefer calmer waters, so we ditched the drift snorkel for the other side of Turquoise Bay (which is postcard-perfect gorgeous) and decided to try our luck there, in the tranquil sea that more than lived up to its colorful name. We hopped in and out as we pleased, staying in for as long or as short amount of time as we felt like without having to worry about getting the most out of our time. We saw some of the most fantastic coral I’ve seen — both in size and color — as well as tons of fish of the kind of exoticism you long to see, as well as starfish, sea cucumbers, an eel, a few manta rays, and even a sea turtle! In just a few snorkels and less than a couple hours altogether, we saw pretty much everything we could have ever hoped to see. It was incredible! 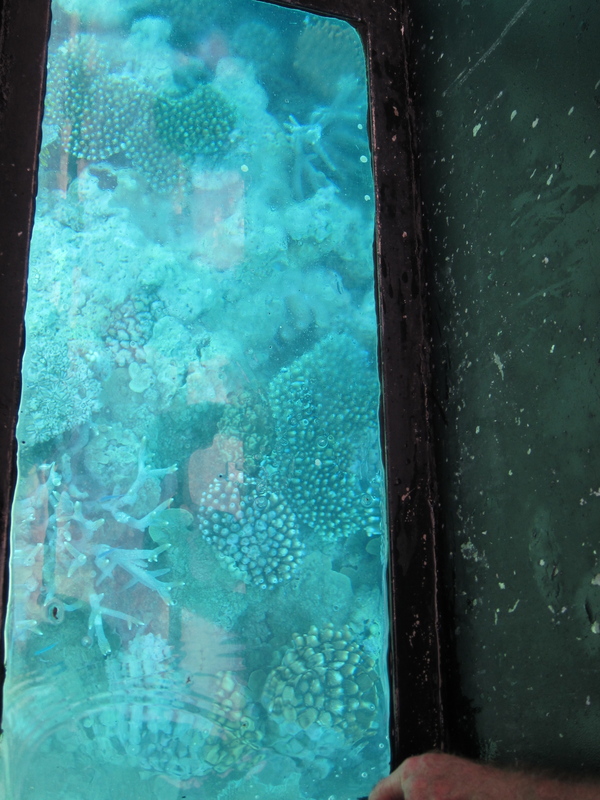 Of course, there’s plenty more of the reef to see than just what you can reach offshore. The difference is, if you are going to spend the money to take a tour out on Ningaloo, you’re going to see some much more spectacular marine life than at the Great Barrier Reef. You’re likely to see manta rays three times your size, sea turtles and, depending on the season, you might even be able to swim with whale sharks, the largest fish in the sea. And while you’re avoiding seasickness by snorkeling from shore, there are some great things to see and do around Coral Bay and Exmouth. Coral Bay is another picture-perfect location, with some of the most gorgeous beaches and crystal clear waters you can find anywhere. It’s a relaxing beach town where everyone’s happy to be on holiday — a great place to kick back, relax, catch a tan and wile away your days snorkeling and observing marine life. Or be a bit more adventuresome and go hiking or four-wheel driving around the area. The Tropic of Capricorn is also a bit south of Coral Bay if you’re into crossing imaginary lines. 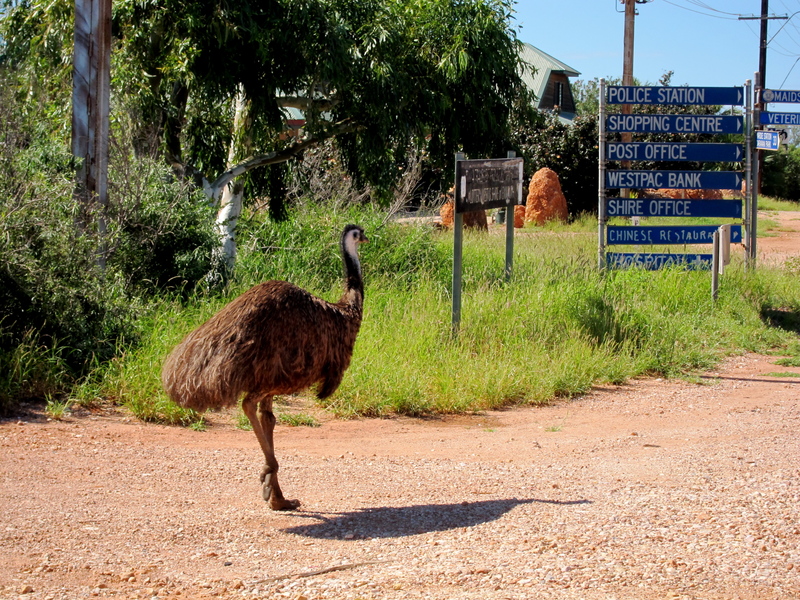 Exmouth itself is a town about 30km from the reef. 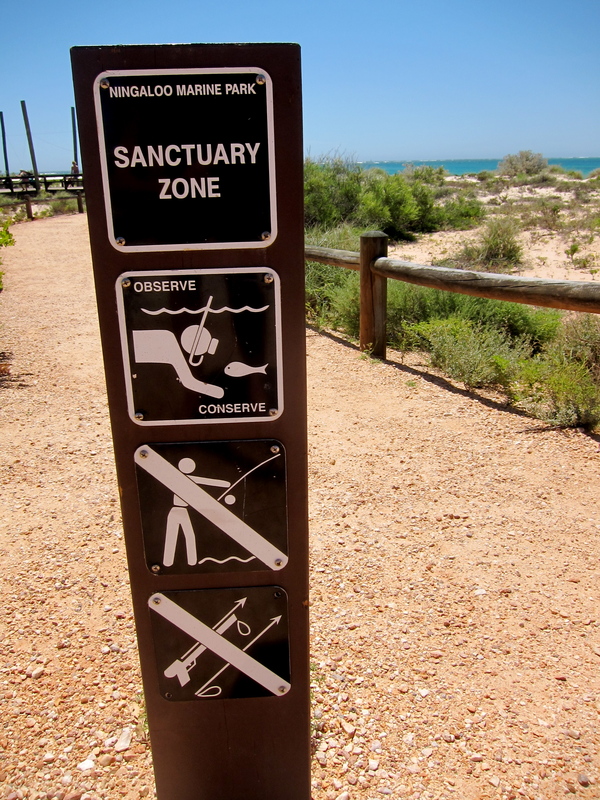 To get to the reef you first have to enter Cape Range National Park, which is worth a visit in itself. 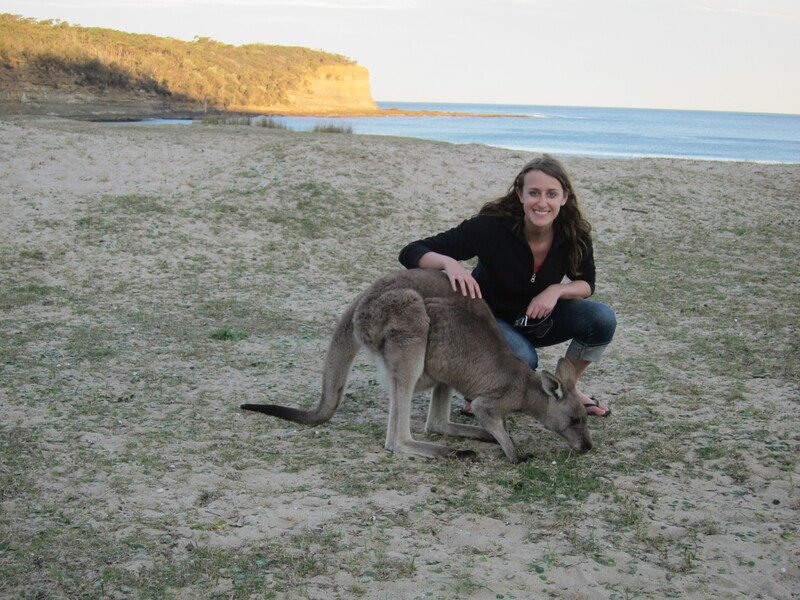 In town and in the park you’ll be sure to see huge numbers of emus, and you might also spot some red kangaroos, rock wallabies and a variety of other wildlife (including nesting sea turtles in season!). 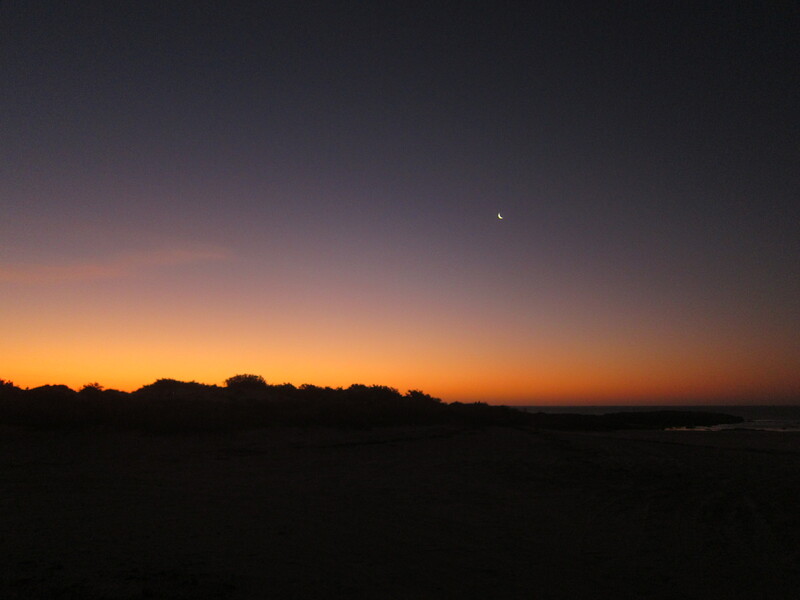 The scenery in Cape Range is also fantastic, and it’s a good idea to spend a night in the park, where you can fall asleep to a spectacular night sky, wake up to a sunrise on the beach and catch the wildlife while it’s still out and about at dawn. If you think I’ve made quite the case for visiting Ningaloo, you must be wondering, “What’s the catch?” Well, the catch is that Ningaloo is not exactly the easiest place to get to. Until now, getting to Ningaloo meant either a very long drive (though there are plenty of other things to see on the way up from Perth, and I highly recommend it if you have the time) or a very expensive flight. This all changed this month when Qantas began very reasonably priced flights to Learmonth Airport (near Exmouth) not only from Perth, but from all major Australian cities. 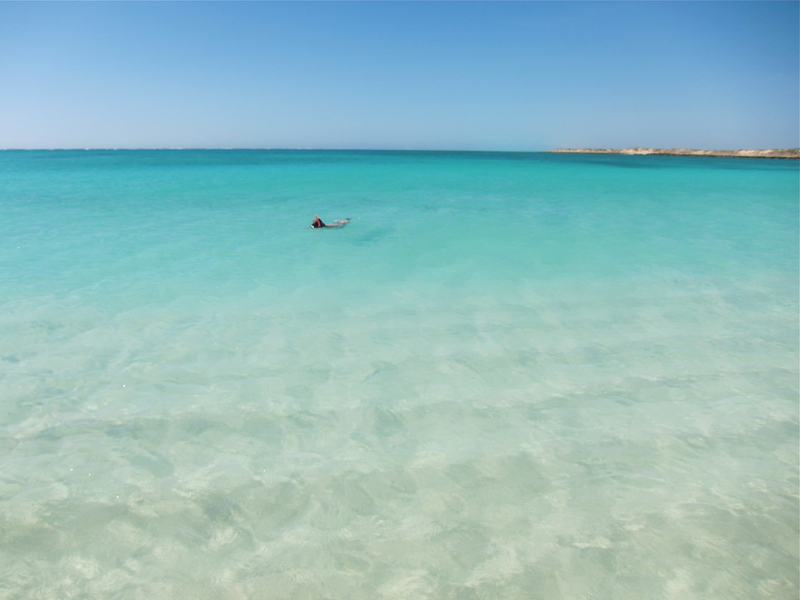 The areas around Ningaloo are extra special because as amazing as they are, there are so few people. While any time you visit the Great Barrier Reef you’re sure to be on one of many boats packed full of tourists, it’s nothing like this at Ningaloo. After spending the night in Cape Range National Park, we were able to spend the entire morning snorkeling in Turquoise Bay (probably the most famous and most visited beach in the park) without a single other person around. 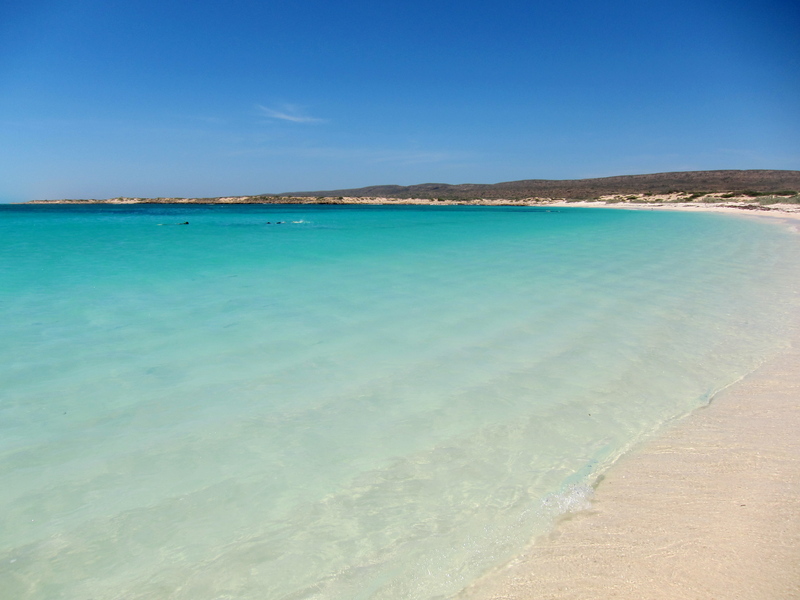 But you better visit soon, because who knows how this might change with these new flights as more people realize how amazing Ningaloo really is.